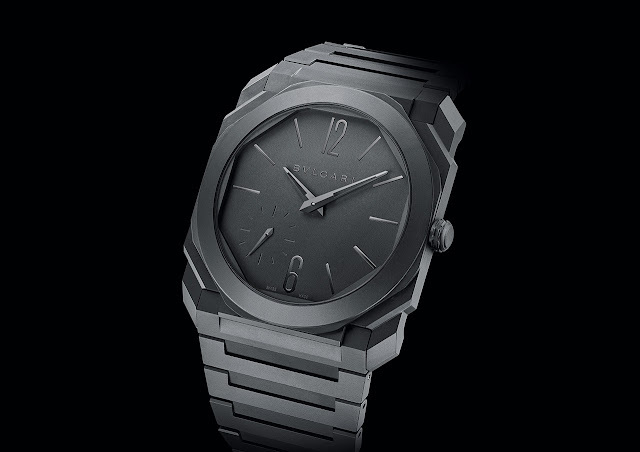 One of the most successful new timepieces presented in the last few years, the Octo Finissimo by Bulgari was introduced in 2017 in a sand-blasted titanium version that was followed, in 2018, by stainless steel and rose gold models. 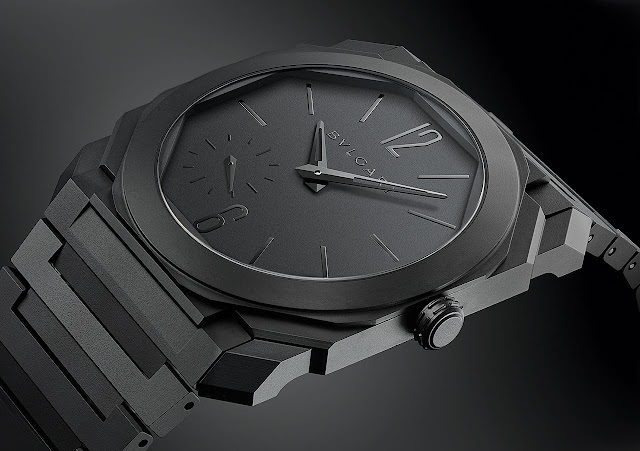 In 2019, Bulgari is expanding its offering with the Octo Finissimo Automatic Ceramic, a new variation in a material that highlights the disruptive design of this watch. Its case maintains the same diameter of the other models (40 mm) and it is only slightly thicker (5.50 mm vs 5.15 mm), a small difference that does not alter the overall proportions. 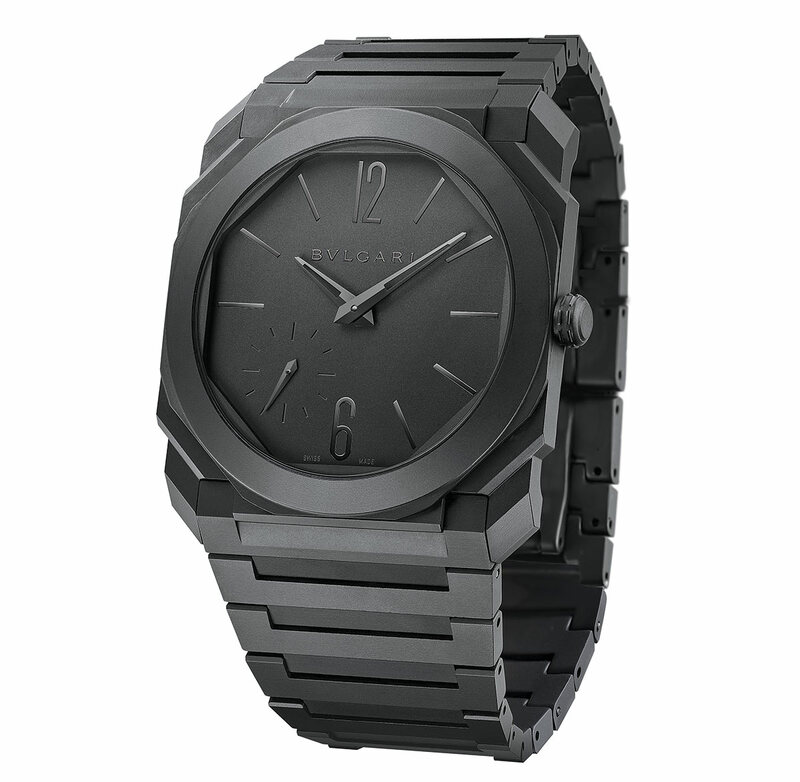 Ceramic is also used for the insert set in the crown and the dial, that is completed by PVD-treated hour and minute hands and an offset small seconds subdial positioned between 6 and 9 o’clock. The transparent case back reveals the in-house developed and manufactured self-winding Calibre BVL 138 and its hand-made Côtes de Genève and circular-grained decorations. 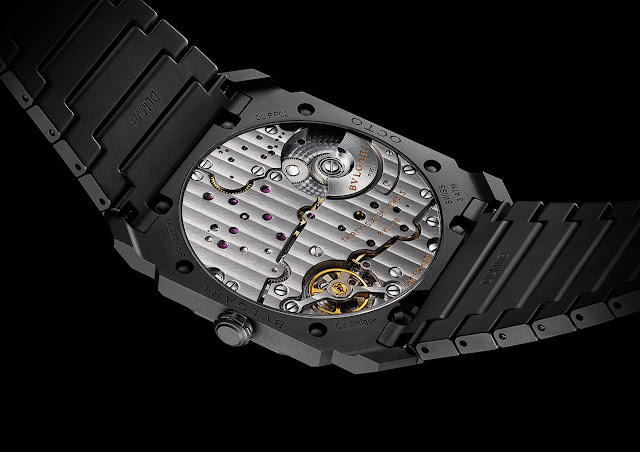 Beating at a frequency of 21,600 vibrations per hour, this ultra-thin movement measuring only 2.23 mm has 60 hours of power reserve. 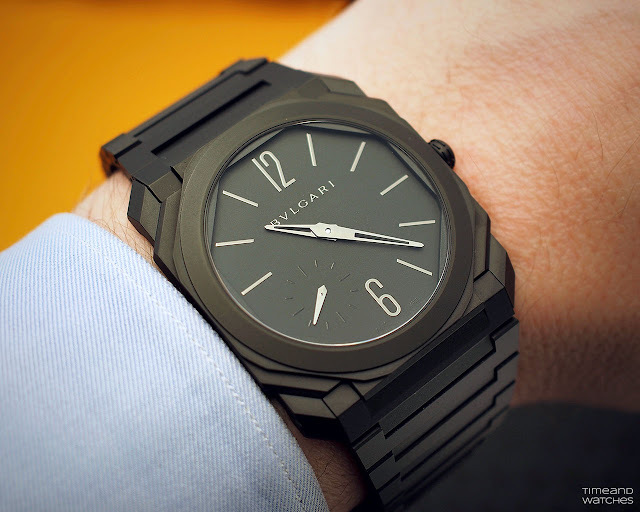 I never considered to buy a Bulgari watch before the Octo Finissimo. Now I can’t wait to own it. 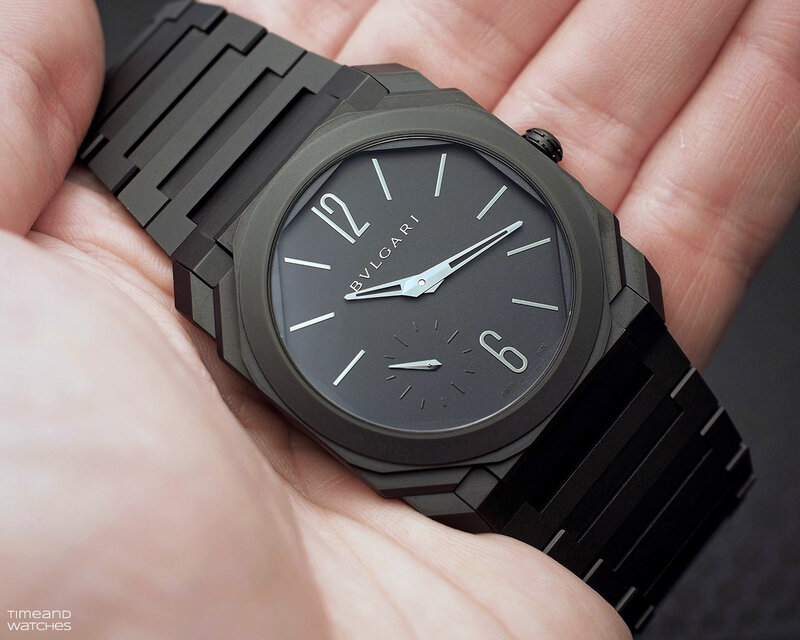 Bulgari Octo Finissimo Black Ceramic In 2019, Bulgari is expanding its offering with the Octo Finissimo Automatic Ceramic, a new variation in a material that highlights the disruptive design of this watch.The Bulgari Octo Finissimo Automatic Ceramic Ref. 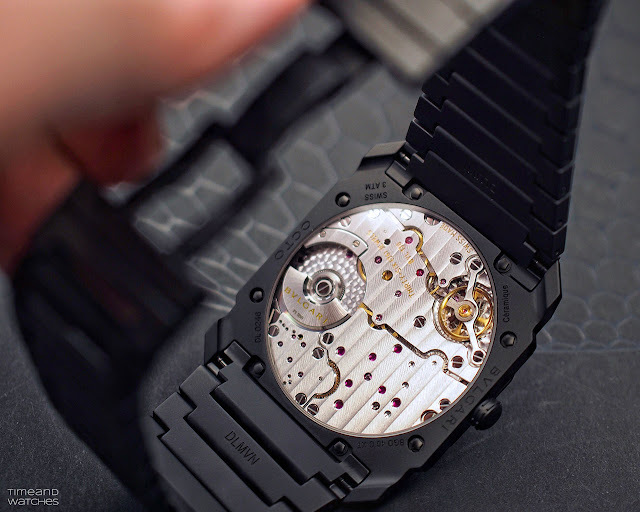 103077 features a ceramic bracelet composed of supple and articulated links. Its price is Euro 15,500.